In the modern manufacturing world, Computer Numeric Control (CNC) machines are widely used. CNC machines are computer-controlled, high-precision tools designed to make accurate movements in a repeated pattern. During the 1940s and 50s, CNC cutting tools were introduced in the industrial world. These high-precision machines were used for various machining operations. In recent years, these automated machine tools have been widely applied in all manufacturing industries. Although CNC machining is very similar to 3D printing, the key difference lies in their high precision, advanced speed, and cost. 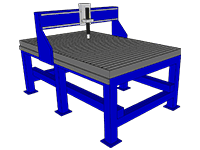 Generally, the CNC machine is a better choice for more precise, efficient, and top quality projects. There are various types of CNC cutting tools and these tools are designed for high-precision machining. Most often, manufacturers make use of CNC cutting tools for near-perfection projects requiring a high degree of accuracy and precision. Which of the CNC cutting tools used is dependent on the project, operation pattern, and, most importantly, the CNC machine itself. Before we discuss CNC cutting tools, let’s take a closer look at the various types of CNC machines. 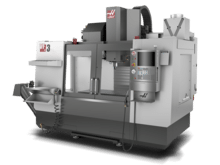 These are arguably the most common CNC machines on the market. Specific programs in terms of letters and numbers are translated in the CNC mills. A programming language called G code is utilised in these machining operations. Being pre-programmed, rotary cutting tools cut pieces of metals into different shapes and sizes. Unlike other manual-operation milling machines, the CNC milling machine has greater precision and high accuracy. Like most manually operated routers, CNC routers cut materials such as wood, plastic, steel, aluminium, foam, and composites. But with the CNC routers, you’ll be able to cut more prototype models and advanced shapes of materials. Like the CNC mill, the CNC router runs with a numeric computer control, improving productivity as it produces more items in less time. 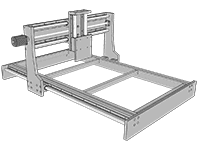 Normally, industrial CNC routers have 3-axis machines. But technical and high complex machining operations use 4-axis, 5-axis, and 6-axis machines. Operating with the various programming language, these machines produce more precise cuts. These are rotatory machines that make precise cuts, 3D shapes and moulds of materials by their spinning actions. These machines are ideal to manufacture spherical or cylindrical objects. CNC plasma cutters use a plasma torch to cut heavy metals like steel. This functions through the conversion of gases that the cutter blows at high speed into plasma. The plasma, which is usually very hot, melts any metal the machine is cutting. Pieces of metals at the cutting site are also blown away by the high pressure. Electrical Discharge Machines can be virtual or wire machines. These machines use electric sparks to cut through metal sheets. With this, they create specific shapes and sizes of materials. Aside from these five types of CNC machines, other types are available in the market. With the advent of CNC machines, manufacturing has been made easier as more precise and accurate projects can be done at the least possible time. Since ancient times, cutting tools have existed. They’re one of the oldest inventions in human history andnd there has been a dramatic change in the type of cutting tools we use. Initially, we built them with stones, so these metallic tools are of much value in the manufacturing world. Although all cutting tools serve one purpose, to cut through a material, there is a huge difference in their purpose. be 30% to 50% harder than the material it will work on. have low coefficient of friction. be very resistance to wear. be chemically inert and stable. These cutting tools are inexpensive and are mainly for low-speed operations. They have a carbon composition of 0.6 – 1.5% with a little amount of manganese and silicon. 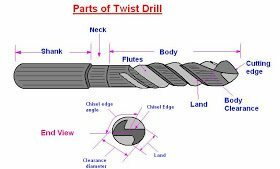 They’re mainly in twist drills, forming tools, milling cutters, and turning. It‘s composed of high carbon steel with a reasonable amount of element alloys like chromium, tungsten, and molybdenum. With this combination, it improves hardness, wear resistance, and toughness. It also offers higher removal rate for metals and other materials. To improve its property, you’ve got to apply certain surface treatment. These chemically inert tools are corrosion-resistant and 10x faster than high-speed steel. Usually,aluminum oxide and silicon nitride make up ceramics materials. Projects that require top-notch finish operations normally use ceramics. Designed for high-speed operations, these carbide tools are extraordinarily hard and can withstand temperatures of up to 1000oC. Normally, tantalum, titanium, and tungsten make them up. Operations that require a high-quality surface finish also use them. Other classifications include diamond tools, cubic boron nitride (CBN), sialon, and cermets. 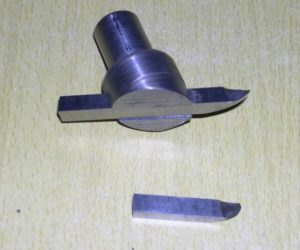 CNC Cutting tools come in various shapes and sizes and you can use them for various milling and lathe cutting operations. Rotational cutting tools that you can use for the removal of materials. Although very similar to the drill bit, the end mill is for more versatile machining operations. Unlike the drill bit that cut axially to the material, end mills are lateral cutting tools that cut in any direction. Due to their design, some end mills cannot cut materials axially. • Ball nose mills: Ideal for 3D contour work, ball nose mills have rounded ends that produce top-notch curved surfaces. • V-bit: Depressions that these tools make are V-shaped. V-bit can be 90o or 60o and each depends on the angle of depression that a material needs. Although they often use them to engrave signs on materials, they’re ideal for projects that need excellent sharp edges. • Straight Flute End Mills: These CNC cutting tools are general purpose tools that offer top quality edges. 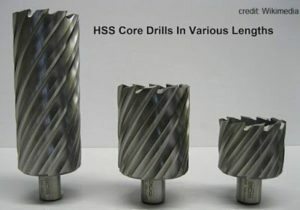 • Down-cut and up-cut end mills: These spiral tools can either produce a smooth-surface finish by carrying the residue chips down or a rough-surface finish by carrying the residue up and away from the specified area. The basic anatomy of an end mill consists of a flute (helical grooves), cutting edge (teeth), diameter, shank, cut length, and the overall tool length. 2. Twist Drills: These rotary CNC cutting tools have two flutes and two cutting edges. Through their unique designs, coolants can quickly reach the point of cut action. 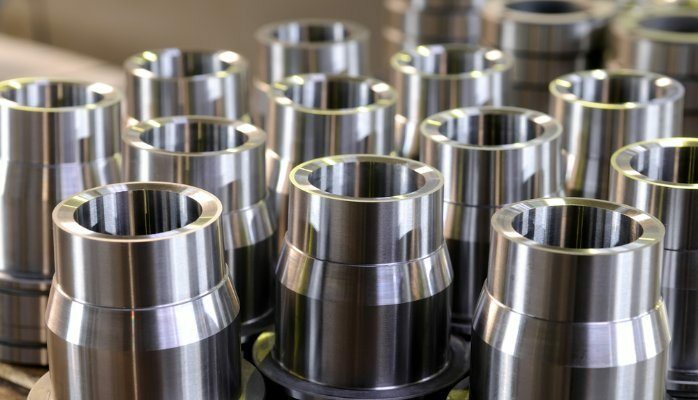 Manufacturers usually use these cutting tools to lower production costs and perform operations with top-notch finishing. The twist drill is comprised of three major parts: The shank, the body, and the point. 3. Fly Cutter: These single point cutters are on a mill and general purpose fly cutters provide excellent surface finishes. This CNC cutting tool goes across the surface of a material through a clockwise rotation, making the material surface smooth and flat. The fly cutter is for CNCers who want to produce an outstanding fine finish. Reduction of thermal deformation in a workpiece. Improvement of the tool life. 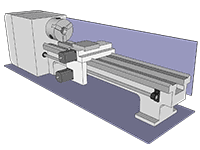 Tool holders typically hold CNC cutting tools before fitting them into the CNC machines. The quality, design, and manufacturer’s specifications about the tool holders are critical to an overall success of the machining operations. 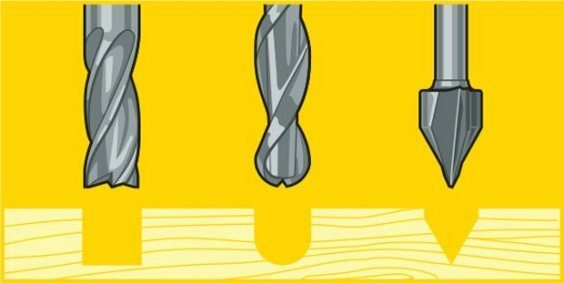 Why Should You Make The Right Choice with CNC Cutting Tools? Cutting tools play a vital role in the quality of projects done. Although buying these items might be pricey, you cannot overlook their importance. In fact, the quality of your project depends on the kind of cutting tool you use. The industrial world is highly competitive and, to succeed, manufacturers and end-users have to build top-notch products through proper planning and precise cutting. Since cutting tools form the backbone of a professional project, you need to pay special attention to these little items that can make or mar your projects. 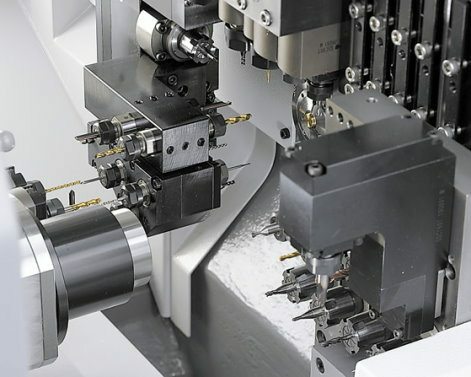 Greater productivity, high precision, accuracy, and efficiency in machining operations are the driving force needed to craft top-notch products. You can easily achieve these features by having the right cutting tools and having an in-depth knowledge about CNC cutting tools is the first step towards success in a competitive industry.